• Certificate in Dangerous Goods Safe Transport Inspection from Luxembourg by ALSA. • Certificate in Computer Microsoft Wards, Microsoft Excel, Microsoft Power Point knowledgeable. I joined Air force from 1979 Military Aviation College Kushofka in the former Soviet Union, joined Libyan Army and Air Force Academy from 1980 and completed in 1982. I was then offered to work as ground school instructor in the Libyan Army and Air Force and also worked as an operational Pilot on Mi 8 helicopter until 1996. In 1998, I then left for Australia, while in Australia. I came back to South Sudan in late 2005 and joined the Ministry of Transport Road and Bridges by then in 2006 in Grade – 3 as Director of Aviation Security in the South Sudan Civil Aviation Authority. 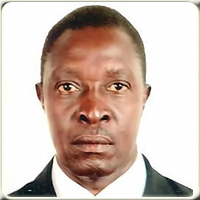 Since 2006 still in the post of Director of Aviation Security grade – 3 and currently an Acting Chief Executive Officer (CEO) for South Sudan Civil Aviation Authority.